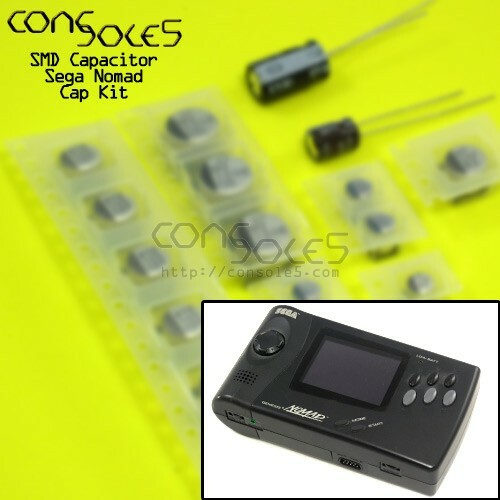 SMD Cap kit for the Sega Genesis Nomad handheld game system. This kit contains all parts necessary to replace the SMD and leaded capacitors in the Sega Nomad handheld game console. For capacitor lists and maps, please see our Sega Nomad Wiki page.